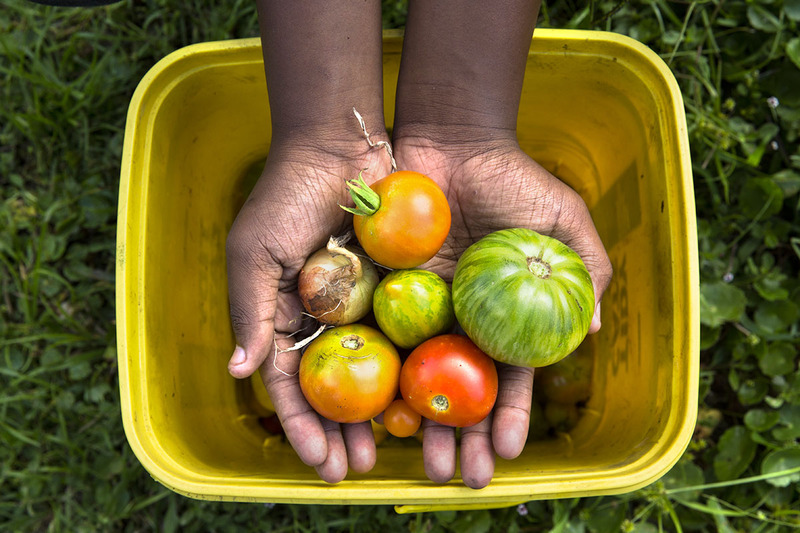 Kayra Sylvester, 12, picks vegetables in Success Garden, a community garden in Jacksonville, Florida. The garden is a focal point of the New Town Success Zone, a collaboration of residents and community partners working to revitalize Jacksonville’s New Town neighborhood. Habitat for Humanity of Jacksonville, a Neighborhood Revitalization affiliate, is the collaboration’s housing partner.